In this issue we discuss the new directions for the clinical trial industry in 2011. With the National Key Economic Area programme in place, exciting things are in the horizon. 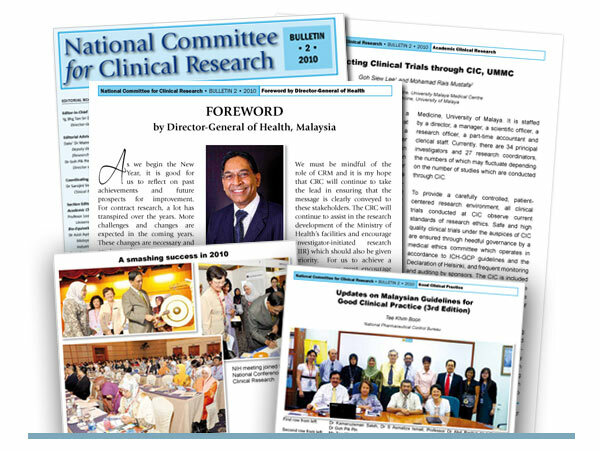 We also highlight the clinical trial endeavours of the University Malaya Medical Centre (UMMC) in its investigation centre and feature in our published research section, UMMC’s top research publications. Our complementary section focuses on a traditional Malay massage and its effect on post-stroke patients. For Good Laboratory Practice, we report the results of the National Pharmaceutical Control Bureau’s visits to a few test facilities in Malaysia. We also include an update of the latest revision to the Malaysian Good Clinical Practice and a review of a guide for Ethics Committee.